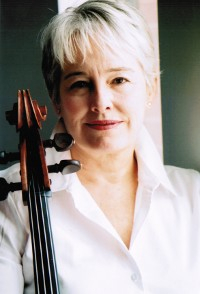 Cellist Suzanne Smith founded cellochan in 1992 in Ann Arbor, MI. She moved to VT in 2016 and now is on the faculty of the Monteverdi Music School, the Vermont Youth Symphony Association, Middlebury Community Music Center, and has a private studio in Moretown, VT. Suzanne is presently the principal cellist of the Montpelier Chamber Orchestra and performs throughout Vermont as chamber musician and soloist. She has a bachelor of performance from Oberlin Conservatory and a Masters in Music from the University of New York at Stonybrook. Her main teachers have been Richard Kapucinski at Oberlin and Bernard Greenhouse, founder of the Beaux Arts Trio in New York. She did post graduate work with Janos Starker over a period of two years. The Cellochan philosophy: As players, artists, and people we need to acknowlege and utilize our total selves while on the learning path. Suzanne helps students study the cello in the context of their unique needs, creativity, goals, and abilities. Her teaching philosophy reflects her belief in the importance of confidence building, the need for awareness developement, and emphasizing the joy of playing. A dedicated mentor, teacher and performer for over 30 years, she helps each student to honor and explore his or her unique artistic voice. Her students range from future professionals to those who simply want the cello in their lives. All ages and levels may apply. *Master in Music under Bernard Greenhouse, S.U.N. Y.